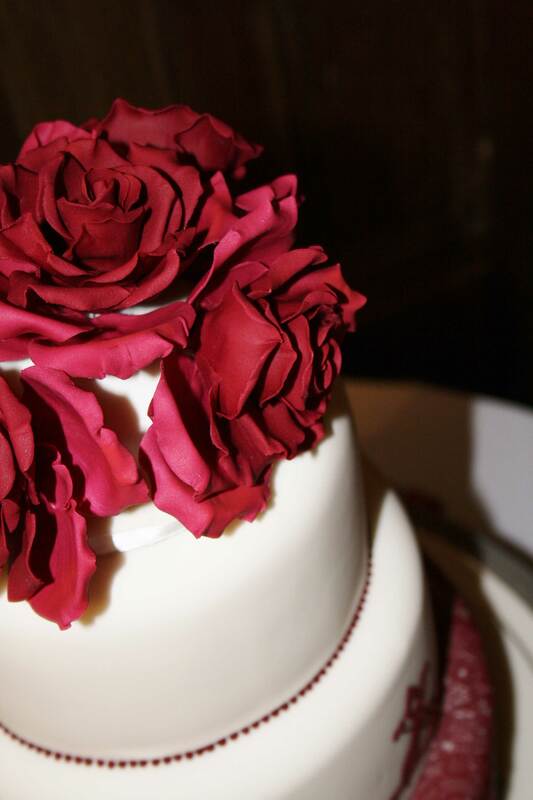 Three tier wedding cake at Pelham House, Lewes, East Sussex. 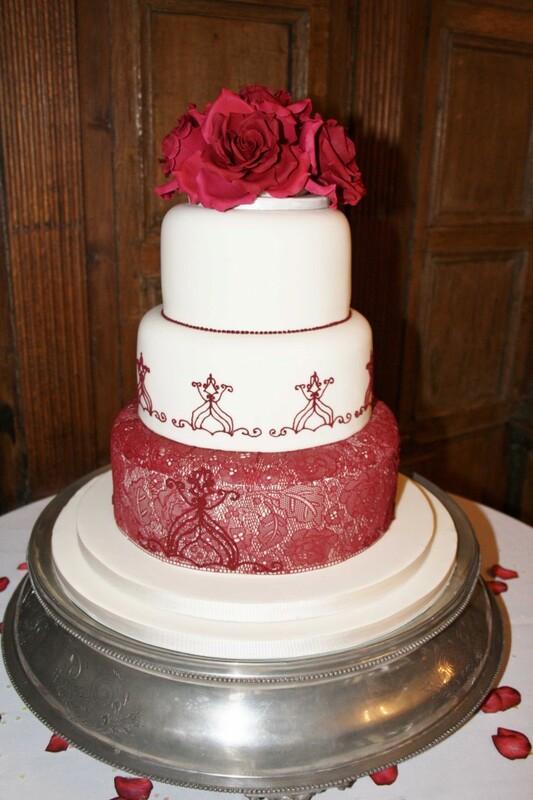 Iced ivory with deep red sugar roses, sugar lace and piped design detail (taken from dress design). Finished with piped beadwork. Cake serves 150 finger portions.